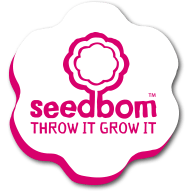 Interested in a Wholesale Account with Kabloom? I already have a trade account with Kabloom. Trade accounts are supplied on a standard 30 day credit basis. New retailers require to pay pro forma for initial orders prior to account set up. Sign up to our trade newsletter for occasional direct trade emails from Kabloom. Your information will never be shared with any 3rd parties and you can unsubscribe at any time.